Little House on the Prairie Trunk Show — Sewing Seeds Quilt Co.
We are privileged to host the Little House on the Prairie TRUNK SHOW! 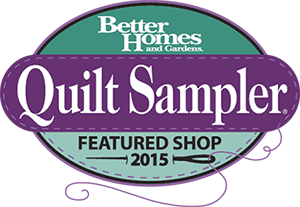 Stop in to see the many quilts and projects on loan from Andover Fabrics until March 7, 2016. Step back in time and enjoy the beauty of these fabrics and the projects they’ve inspired.